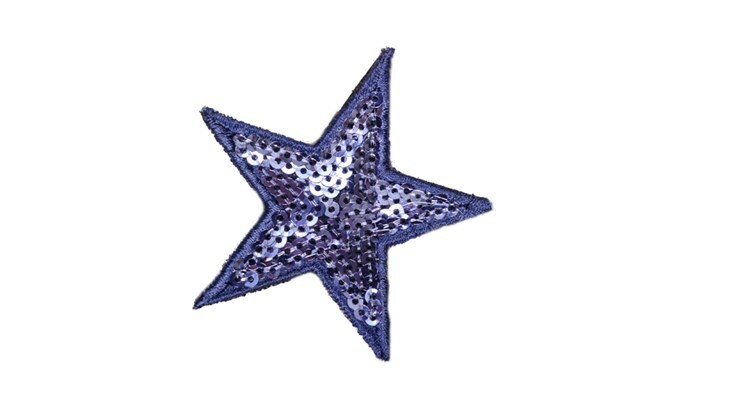 Glitzy blue star in sparkly sequins. This small patch fits beautifully in between two letters on bags and cases that accommodate three small patches. The perfect addition to our indigo mini case, or any of our velvet cosmetic bags.